Fly-Fishing the Texas Hill Country – The Guide Is Out and It’s REAL! the new edition of the legendary guide to fishing the Texas Hill Country, your wait is over! I was surprised, pleasantly, to get my hands on the last copy at Tailwaters last weekend, and have been so busy working on the Rockport story that the new book had slipped my mind. 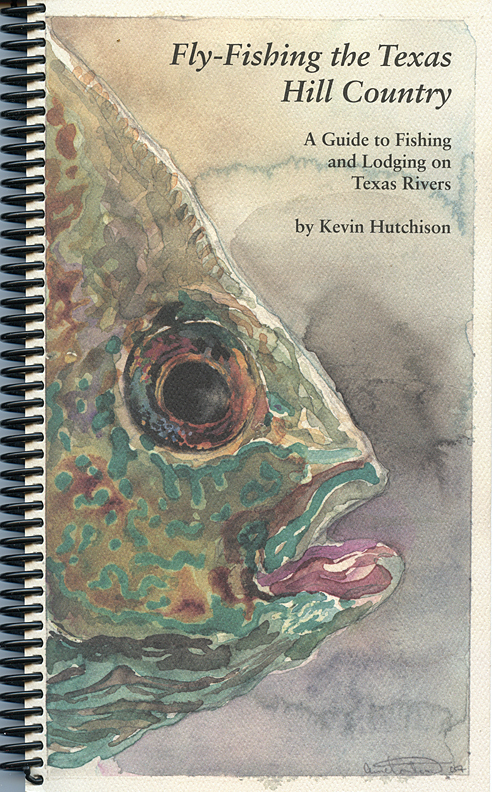 The update is a beautiful edition by Kevin Hutchison, and is published by Fishhead Press at 331 La Reata Trail, Smithville, TX 78957. The phone number there is 512-589-3474. The cover illustration is by Anne Couteau, and the book also contains photography by Kevin Hutchison. It’s a pretty well known fact that after the floods of 2007, the previous edition (which was being updated at the time) was rendered pretty much useless. Those little details the previous edition was so famous for, were washed away, and as time stretched on, fishers were openly wondering if the book would ever see the light of day. Not only does this one see the light of day, it is a piece of work – a beautiful book that maintains the functionality of its predecessors. I haven’t had time to read it in detail, and I can only hope to someday put it to good use, but for now I’ll look at the pictures.